Valentine’s Day is here and we’ve put together a list of fantastic Lao restaurants to inspire you to share the special day. Looking at the list, it’s already making us excited to jump in the car or board the next plane to try all of them. If you haven’t made your plans, skip the usual and try them. We are pretty sure these restaurants can inspire and maybe cultivate romance once you and your date take the first bite. If you are lucky to visit one of these places, let us know your experience! Sern sap der! All-star chef James Syhabout returns to his Lao roots with the help of his mother and aunties. Syhabout also owns the popular Michelin-star Commis Restaurant, which features contemporary fine dining. Bida Manda is named in honor of the owners’ parents, who instilled in them the love of food and its power to bring people together. Woven Screens: Handmade by Friends from Bida Manda on Vimeo. Marc Forgione and Soulayphet Schwader present a Laotian-inspired restaurant in Manhattan’s trendy TriBeCa neighborhood. Seng Luangrath is a pioneer at heart of the Lao Food Movement, often returning to Laos to get inspiration for her changing menu items. 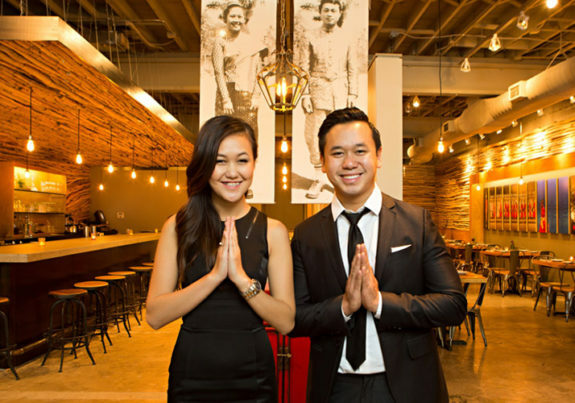 The Siackhasone family owns two locations of this restaurant, with Lao Lane Xang 2 being the more modern incarnation.